The 37th Annual Heritage Weekend will be held on September 16 and 17 at the Blue Ridge Parkway’s Folk Art Center. This free celebration of mountain heritage held by the Southern Highland Craft Guild is sponsored by WNCW and features traditional crafts accompanied by music and dancing. A highlight of the weekend is the 37th Annual World Gee Haw Whimmy Diddle Competition on Saturday, from 2:00 to 3:00. A whimmy diddle is an Appalachian mountain toy traditionally made from two sticks of rhododendron. Notches are carved into one stick and a propeller is attached to the end. Rubbing the notches with the second stick makes the propeller spin. Can you get it to gee (spin to the right) and haw (spin to the left)? During the World Gee Haw Whimmy Diddle Competition contestants are judged on the number of rotations between gee and haw they can complete during a given time. They may be asked to switch hands or whimmy diddle behind their back. All ages may compete with trophies given for best child, adult, and professional. Winners receive a Moon Pie, a t-shirt, and bragging rights. On going demonstrations will include traditional woodworking with traditional tools, weaving, spinning, dyeing, broom making, stone carving, and print making. Visitors will have the opportunity to try their own hand at some of the crafts and an activity table will encourage young people to create. On Saturday, Anthony Cole will be on hand to shear sheep throughout the day, and on Sunday, Joe Parham will bring animals to demonstrate how he trains dogs to work sheep at 1:00 and 3:00. A music stage will provide further entertainment with blue grass and gospel music. Local cloggers will display the energy and fancy footwork that goes into the mountain dance tradition. A quality lunch will be available from Farmhouse BBQ, selling delicious barbecue and tasty side dishes. The Blue Ridge Parkway’s Folk Art Center is the ideal place for Heritage Weekend! There is free parking and a grassy area for picnics and relaxation. Spend an early autumn weekend in WNC honoring and learning about the crafts of yesteryear. Tour the Folk Art Center and maybe take a walk through the woods. For more information, including a list of participating craftspeople and musicians, call 828-298-7928 or visit www.craftguild.org . We hope to see you there! All eyes (and feet) in Asheville will be directed towards the John B. Lewis Soccer Complex and Memorial Stadium over Labor Day weekend. The 8th annual Beer City Cup adult soccer tournament once again brings some of the most skilled and talented adult soccer teams to Asheville. With their legendary semi-finals and finals at Memorial Stadium on Labor Day Sunday (Sept 3), this year, the Beer City Cup is now the biggest adult soccer event in the US! Twenty five U.S. cities from ten states, including Los Angeles, CA and London, England, will send 98 of their best amateur teams to compete for $12,000 worth of total cash prizes. Teams can enter the following divisions: Co-Ed and Men's Open, Women’s Open, Men's Over 30, Over 40, Over 50 and Over 55. 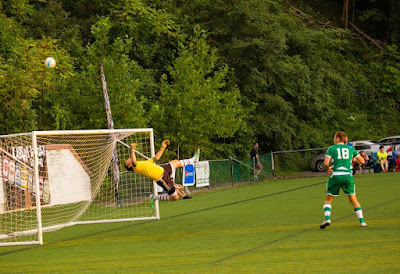 The event is organized each year by David Turner and Eric Usher in partnership with Asheville-Buncombe Adult Soccer Association and the North Carolina Adult Soccer Association. A portion of the proceeds from the event will go towards various charitable causes, including the Buncombe County Special Olympics, Guardian ad Litem, ABASA and Western North Carolina Soccer Foundation. Launched in 2010, the annual soccer event is now the premier adult soccer tournament in the Nation. This year, teams will arrive from FL, CA, VA, PA, NJ, KY, SC, GA, TN and NC. The family-friendly event is also the first of its kind in the Southeast that features a bounty of cash prizes along with great beer (only $2!) from local breweries. Admission to the finals on Sunday, Sept. 3 is free. Experiencing year over year growth, the 2017 event will welcome a record-breaking 98 teams. Notable teams include: Old Wits from London, England; Shadows, a CoEd team, from Los Angeles, CA; 5-time Beer City Cup Open Champions, Blue Ion, Charleston, SC; Internationals FC from Newark, NJ; 2-time Beer City Cup CoEd Champions, Easy Riders, Raleigh, NC; 3-time Beer City Cup Over 30 Champions, Wizards FC, Asheville, NC; and Frienemies, 3-time Beer City Cup CoEd Champions. This year’s breweries includes: Oskar Blues, Appalachian Brewing Co. Asheville Brewing Co., Catawba, Green Man, Highlands, Hi-Wire, Pisgah Brewing, Sierra Nevada and New Belgium. "We are honored to have such an incredible field of teams! We’re pretty much maxed out in the soccer category, so we’re hoping Asheville will bring a crowd this year and cheer these teams on! We invite folks to check us out and watch some pretty exciting soccer and enjoy our area’s tastiest craft beers.” says Turner. Asheville itself, voted numerous times as the Nation’s “Beer City Capitol” and named one of the “coolest places to live” in the country, is a prime location to host a soccer competition of this size, with many restaurants and breweries that visitors love to visit during the two-day event. According to the organizers' estimates, the economic impact of the tournament on Asheville will be over $250,000. 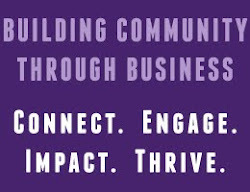 Western Carolina University is excited to be offering several new certificate programs this fall that will help businesses in the community train and develop their employees and managers. The Event Planning Certificate Program will focus on the many different facets of being an event planner, from managing people and projects to increasing exposure and dollars for organizations. Attendees will meet on Fridays from 9 a.m. until 4 p.m. Participants can earn a certificate by attending six of the designated workshops offered during the spring and fall. The cost per workshop is $119 or a ten percent discount is offered for all 6 workshops. The Customer Service / Train-the-Trainer Certificate Program empowers managers and supervisors to effectively train staff at different times throughout the year by developing an in-house training program. Participants must complete all of the workshops in this program in order to receive their certificate. The program will be held at WCU at Biltmore Park on four Thursdays: October 9, 16, 23, and 30. The cost of this program is $429. The Digital Marketing and Public Relations Certificate Program will focus on strategizing marketing plans, budgets, and social media in order to successfully develop a mission and purpose for an on-line brand. This program will be offered on Fridays: October 13, 20, and 27, as well as November 3, 10, and 17. The cost of this program for all 6 workshops is $640. Participants can earn a certificate by attending six of the designated workshops, or they can attend one or more workshops a-la-carte without completing the certificate. The cost per workshop is $119 or a ten percent discount is offered for all 6 workshops. For more information visit learn.wcu.edu/certificates. You can also call 828-227-3070 or contact Jill Thompson at jcthompson@wcu.edu.